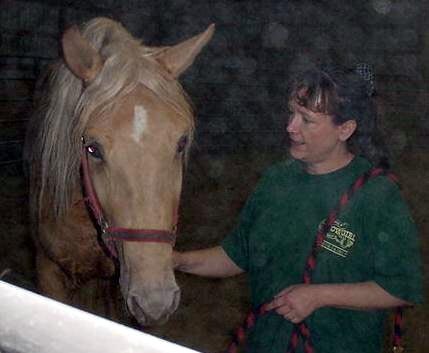 Missouri Fox Trotters have been the best kept secret in the horse world, but more and more people are finding out how easy their gait is and about their easy-going temperment. Did you grow up watching Rin Tin Tin? Our dogs and puppies are everything you want in a dog! Our dogs are simply the BEST! They are imported from West Germany and are all top champion stock! These shepherds will go from the show ring, to any performance arena to home as your special friend and caretaker of your children. 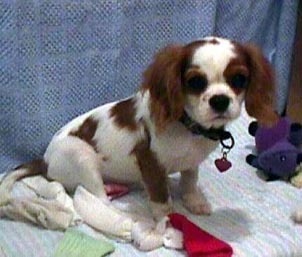 The Cavalier King Charles Spaniel is a delightfully affectionate, playful, intelligent little dog that repays his owner's care and attention with an endearing devotion.